The handheld versions are played as an adventure game and require the player to complete missions to advance. The goal of the Nintendo DS and GBA versions is to complete the five missions. 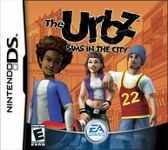 Like the other games of The Sims franchise, an Urb has eight basic needs; Hunger, Sleep, Fun, and so on. In order to succeed in the handheld versions of this game, these needs must be kept high and steady. In this version of the game, Daddy Bigbucks plans to take control of the entire city, tear down all of the buildings and turn the town into a totalitarian world where it's citizens are forced to pay for the most basic necessities such as charging for every time a Sim would breath the air. There are three districts that can be unlocked upon completing certain sets of goals. Once the player has beaten the game, they are free to live in any of the houses or apartments so long as they have enough money, the most expensive and last to unlock being the penthouse in King's Tower. The player also has the opportunity to change what type of person they are of the four: Richies, Artsies, Streeties and Nerdies. By getting a high rep with the leader of each group, the leader will give the player a list of goals, and upon finishing them all and getting the highest possible reputation with that group, will become part of them.